While it’s very important for a plumbing company to be marketing their business online today, that doesn’t mean that they should give up on the traditional marketing tactics they’ve been using for years. In fact, it’s better for an overall marketing strategy to be well rounded and include both “new” and “tried and true” methods in order to stay top of mind among current and potential customers. Radio advertising can be extremely effective if executed properly. The first step is to invest in creative that will be catchy enough to keep the attention of listeners, such as a jingle. Be sure to include a call to action and easy to remember contact information. Once the creative is set you can select the channels that are the best fit for your target demographic. The approach to television advertising is similar to that of radio advertising. The key is to be memorable and include a clear call to action. Television ads can be targeted to air only in specific regions to ensure that it’s your potential customers who are seeing the ad. Print advertising certainly isn’t dead. In fact, it’s a great way to keep your brand top of mind among a local audience. Print ads are great places to include promotions, deals, or other special offers that you may be running in a particular timeframe. An absolute must for any plumbing company is to wrap the company trucks and/or vans. As you move from job to job you’re promoting your services to anyone you pass. A small logo on the side is OK, but why not make your vehicle a flashy billboard on wheels? Of course, it should be professional looking and include your name, logo, and phone number. 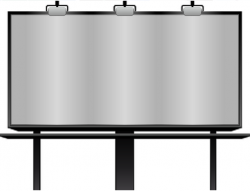 Other outdoor advertising formats, such as billboard ads, can also be an effective way to brand your business in a local area. Direct mail may have taken a backseat to the email newsletter, but that’s exactly why it’s a worthwhile investment today. Your target audience’s mailboxes are less cluttered than they were before and recipients are more likely to pay attention to your mailer. This is also a great way to stay in touch with previous customers. Some plumbers even make it a point to send cards to their customers around the holidays. Traditional marketing, when executed properly, helps to establish a brand. What can take traditional marketing to the next level is including an effective response tool, such as a vanity phone number. A vanity phone number, like 1-800-PLUMBING, is easy to remember, improving the response rate and ROI of traditional advertising methods.